We service and repair all makes and model of cars, light trucks and scooters. We also have some of the best deals on Tyres & Batteries. Inner West Blue Slip Inspection Station. We also provide Pink slip, e-safety checks, NSW Registrations and repairs. We specialise in tyres – no matter what your make or model we have the tyres for you, at the most competitive prices including fitting. As your complete auto service provider , we help keep you on the road, no matter the maintenance needed. 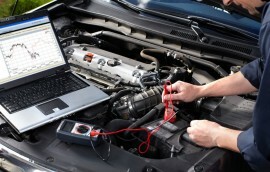 We do only the work you authorize us to do and all our mechanic work is guaranteed in writing. Our mechanic repair shop has been servicing the car needs of local Balmain, Rozelle and Inner West Residents & Businesses for Over 30 years. We value the trust we have built within the community, with most of our business coming from word of mouth and local Inner West referrals. Fineserve Auto – are authorised Pink Slip and Blue Slip E safety Inspection. Is your vehicle 5 years or older and needing registration renewal? You’ll need a Pink Slip – e-Safety Check to be performed by an Authorised Safety Check Inspection Station (ASCIS). Do you own a light vehicle that is unregistered or registered in another state? You’ll need to have a Blue Slip Inpspection carried out by an Authorised Unregistered Vehicle Inspection Station (AUVIS). Our mechanic repair shop has been servicing the car needs of local Balmain, Rozelle and Inner West Residents & Businesses for Over 30 years. 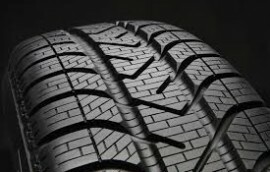 Top Speed Tyres – which has quickly earned a reputation for offering some of the best deals on tyres in Sydney. Great service. Joe was very transparent with me about cost and options and did what he said he would, when he said he would. Great service and great experience. Joe is very knowledgeable and passionate about his work. Most importantly he is honest. I would highly recommend fine serve automotive. I had a lot of ordinary experiences with Auto repairs/tyres until a came across Joe and Christian. I trust these guys soooo much. They service our 2 iLoads, our Citroen (all diesel) our VW(turbo) and Mitsubishi Colt(Petrol). Look at what they drive and you realise they are PETROL HEADS!!! The type you want looking after YOUR vehicles. Great service and top notch F1 parts put on my car. Joe even services Ferraris! Honest, reliable service at a reasonable price. Joe & his team do a great job.